A possible confession on a police officer's body camera helped lead to a second arrest in a 2017 Chattanooga robbery-turned-homicide that grand jurors will hear about soon. 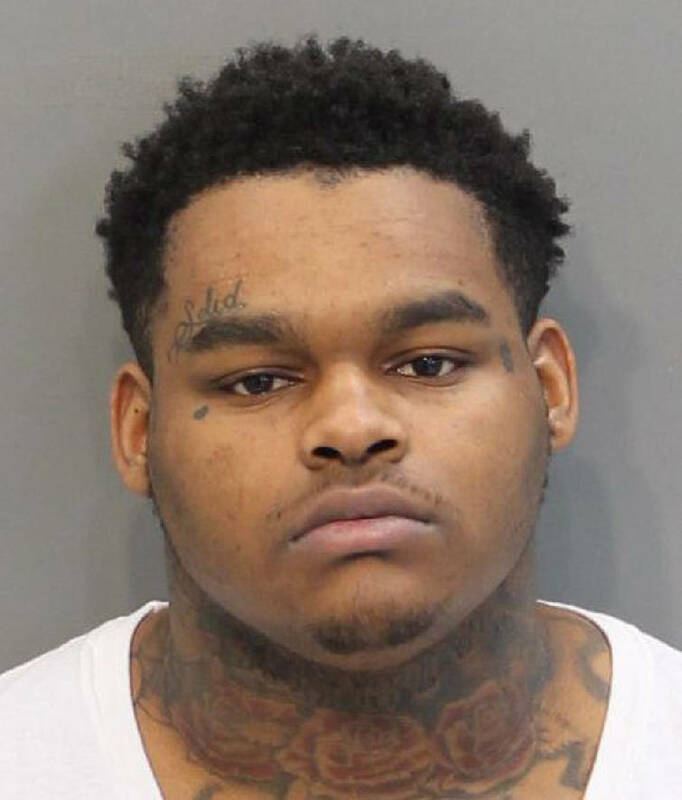 Though authorities considered Devonte Saddler, 23, a suspect in the fatal July 2017 shooting of 45-year-old Kathy Hardy in Renaissance Park, they were unable to make an arrest until a new development nearly two years later. Investigator Zach Crawford testified Thursday in Hamilton County General Sessions Court that officers went to Saddler's mother's home on Jan. 18 because of an alleged domestic incident between her and her son. On scene, Crawford said, Saddler's mother made a "spontaneous utterance" that her son was involved in the Hardy case. A responding officer's body-worn camera captured her remarks, Crawford said. And two days later, after interviewing Saddler's mother and other family members, Crawford swore out felony murder and especially aggravated robbery charges against Saddler, who remains in custody on a $1 million bond. Crawford shared those details during a preliminary hearing before Judge Alex McVeagh, and they drew objections from Saddler's attorney, Deputy Public Defender Mike Little, who argued the state's case had "an issue with identification." Crawford was one of three witnesses for the state, including Hardy's husband, Shawn Hardy, who survived the incident and gave a detailed recollection in court. Ultimately, McVeagh found probable cause that a crime existed and that Saddler likely committed it. Probable cause is a low evidence threshold to meet, and grand jurors next will hear an officer's presentation of the case and determine if there's sufficient proof to indict Saddler for the crimes. On July 16, 2017, Shawn Hardy testified, he and his wife were in town and drove to Renaissance Park to walk along the Tennessee River after they were late for a movie downtown. Around the time his wife paused to read a sign, Shawn Hardy said, three men approached. One had a gun and pressed it to his head. The men then ordered them to walk down a pier and emptied the couple's pockets. Shawn Hardy said the men then told him to take off his shirt. When they asked his wife to do the same, Shawn Hardy said he stepped in between the men and Kathy Hardy. Then, "the man with the gun pressed the gun against my forehead and said I better take him serious," Shawn Hardy said. "My wife started crying. I turned around and told her it was going to be OK. When I started to turn back around I heard gunfire and I woke up under the bottom of the pier." Part of Thursday's hearing dealt with part of that statement. Did Shawn Hardy dive off the pier? Did the shock of a gunshot help throw him off the pier? Police wrote in their affidavit that he jumped but acknowledged during Thursday's hearing that Shawn Hardy discussed a number of ways the incident could've happened. After he woke up, Shawn Hardy said he swam a bit, found a construction site and screamed for a guard to call 911. According to trial testimony, Shawn Hardy identified Tyree Corley, 22, as the gunman. After his arrest, Corley hanged himself in Hamilton County Jail, and his family since has sued the county, saying jailers failed to act on his "outward signs of suicidal behavior," including a self-inflicted cut on his wrist. Defender Little pointed out, however, that Hardy failed to identify Saddler five to six days later when police showed him photos of possible suspects. Saddler was among them. "Mr. Hardy had the opportunity to look at photographs, but he looked at Mr. Saddler's photograph and did not make an identification," Little argued to the court. "There was no description of what the defendants were wearing. The color of the clothes. Whether they have pants on. A year and nine months later, he is called by investigator Crawford who says, 'We have made an arrest.' And [he] look[s] at a picture of the person [who] has been arrested. And then he says, 'Well, that's the person.' So it's a suggestive identification." Assistant District Attorney Lee Ortwein countered that was only part of the picture. The police conducted an extensive investigation, he said. They pulled surveillance video from a business near Renaissance Park that showed three men getting into a waiting car around the time of the shooting. Police then tracked a white Dodge Charger in the surveillance footage to the owner of a home where Corley occasionally stayed and kept a .38-caliber revolver. After that, they interviewed Corley and other friends and associates, and spoke with Saddler's mother and brother when the domestic incident happened in January. Crawford said he believes a third person involved is still out there.